In a candidate is driven employment market every HR department of the company wants to attract the best pool of talent to fill in the skill set void and provide impetus in meeting the stringent time to hire deadline, drawn by the competitive nature of the job market. A well screened and sourced talent pool creates an aura of invincibility around a company, by always making sure of possessing talented resources at their disposal, ready to be deployed to fill in the gaps, whenever necessary. In a quest to hire the perfect fit, the HR department invariably ends up sourcing candidates profile from various outlets, for instance, various social media platforms, and online HR portals and through job applications. This not only leads to, over a period of time, a large repository of talent pool but also creates an arduous task of running analytical data set algorithms to get a truncated list of prospective best-fit employees for any current and future job openings. With time, the skill sets or job requirements become obsolete rendering the outdated talent pool quite pointless. 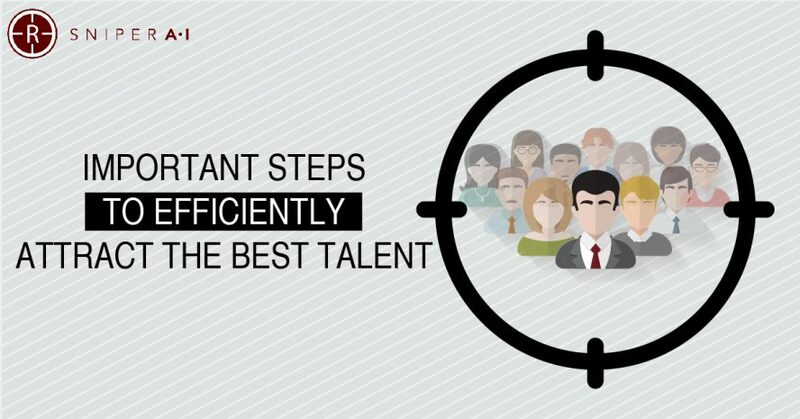 Companies, to avoid a situation of working with a large set of antiquated talent pool can follow a few important steps to effectively find the best person for the job. Pre-submission application screening: Every job requirement has a non-negotiable list of the skill set required for the job. A series of pertinent questions before the final submission can screen candidates and abstain the ones, who do not meet the mark from applying. The questions should be to the point, primarily a “yes” or “no” ones. This would result in a talent pool which will be a perfect fit for the role, weeding out the unnecessary inundation of unnecessary applicants. A phone conversation can provide a good insight into a candidate’s persona and passion for his skills and job. The recruitment pool can be further truncated down on the basis of a phone interview as it provides a clear indication of the candidate’s communication skills and his vision for the role. It can also be a good starting point to clear out all the doubts from the perspective of both the parties involved before a face to face interview. Last but not the least is to conduct a smart interview. It’s paramount to assemble a group of experienced interviewers who are capable enough to assess the interviewees from all the aspects of job requirement and have a thorough understanding of the skill sets required for the role. Recruiting pool is a fulcrum of any organizational wheel, which drives the functioning of any business like a well-oiled machine. Any kind of fracture in maintaining a well-balanced talent pool will result in a loss of business and will drastically affect the image of a company in a cutthroat environment.